Painted in gold and silver these coins are made to look similar to real Australian coins. Students will understand the value of Australian coins by learning to recognise, describe and order them according to their value. 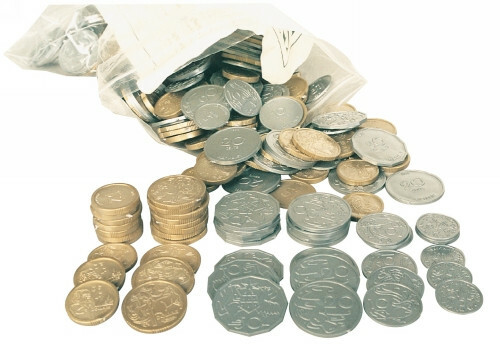 Play pretend with this set of 340 Australian money coins.